Guided snorkeling tour. 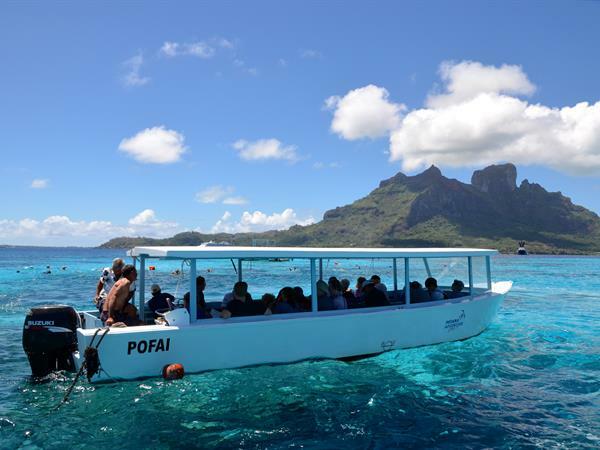 Expert Tahitian guides will share with you a side of Moorea that most tourists never get to see. You'll learn about their gorgeous island - her legends, her secrets and their way of life. 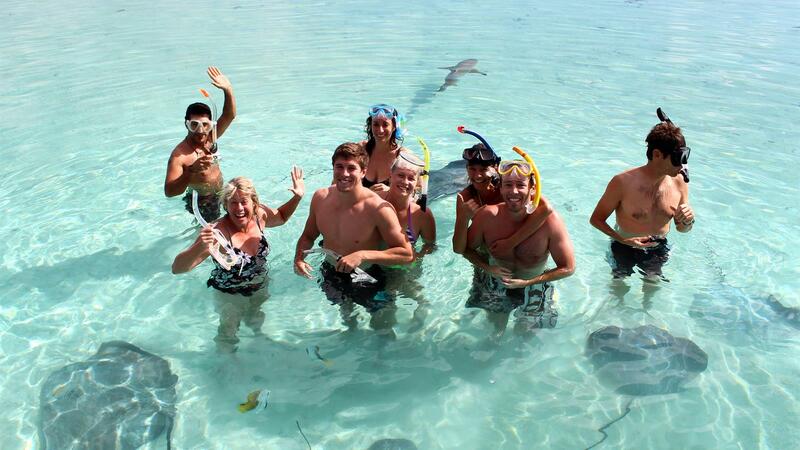 You'll get to snorkel in coral gardens, observe sharks in their natural habitat and get up close and personal with magnificent sting rays. Small Group Tour (Minimum 4 / Maximum 10 guests). Operates daily except Sundays. Duration: 3 hours. Includes mineral water, fresh fruit, masks and snorkels. Morning Tour starts at approx. 9:00AM for clients staying at the InterContinental Resort, Les Tipaniers and Hibiscus Moorea.